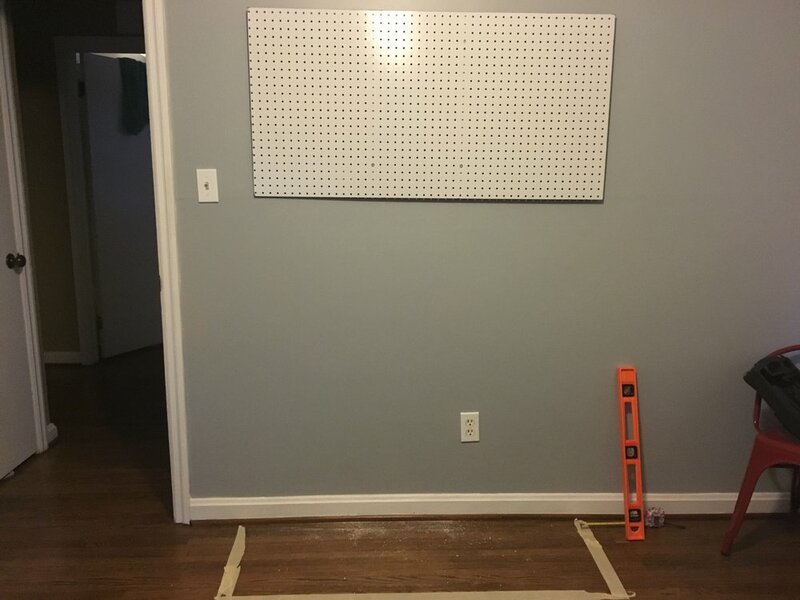 When we converted the garage into the playroom two summers ago, we officially moved Jason out of the office since we had made some major progress on the waiting list for Judah. Little did we know that a year and a half later, we'd still be waiting for a referral. This room sat empty for many, many months, and ultimately it's emptiness led to our first conversation about adopting domestically. Even after we began the domestic process in May, it still took several months to begin working on the nursery. I think that, for me, if I started working on it but then we continued waiting for a really long time, it would make the wait even more painful. One of the hardest things was going through out "almost" adoption in August. I had just finished painting the room and crib, and I really thought that the time had worked out perfectly. Then, when that fell through, Jason and I picked ourselves up and decided to continue working on the nursery. This was a huge step of faith for us, and I'd be lying if I said that it was easy. Planning for a child that feels so far away is one of the hardest things. 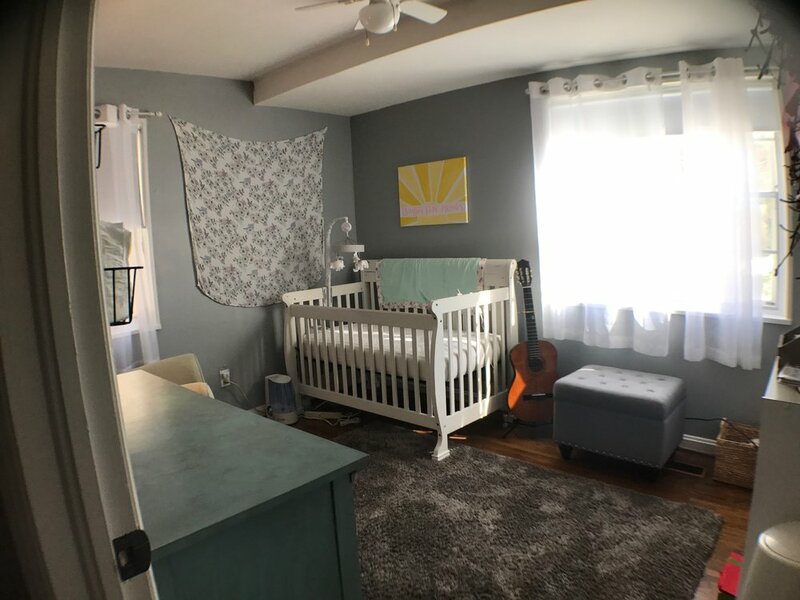 When your heart wants to walk into that room and see a child every morning, but you walk by and see an empty crib instead, you almost mourn the hole in your family every time you pass the door. But, as always, God is so faithful. Just a few weeks later, we found out about Brighten, and a few weeks after that, she was born. 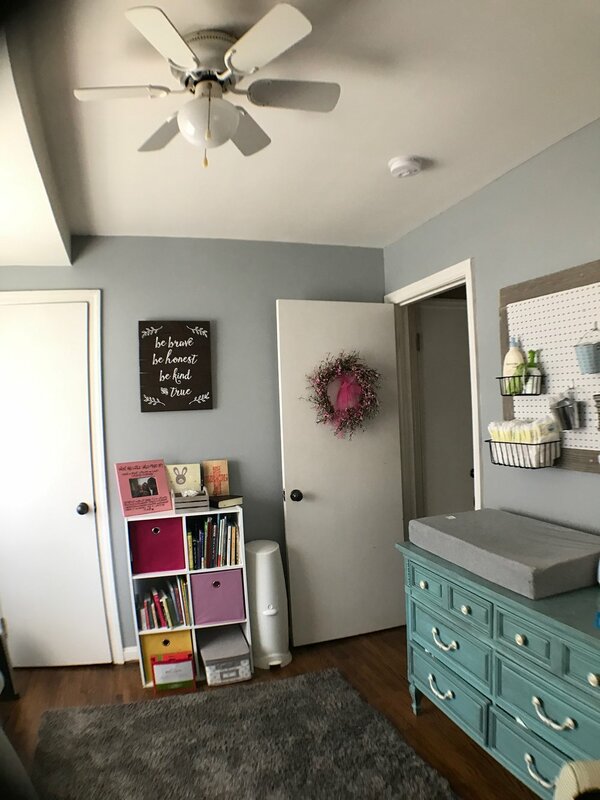 I went from taking my time and hesitating to put together our nursery to scrambling to get it ready for our baby girl! Her room is now my favorite place in the house, and I hope you love it too! Now look at that smiling face I see every morning...Praise God for His faithfulness!